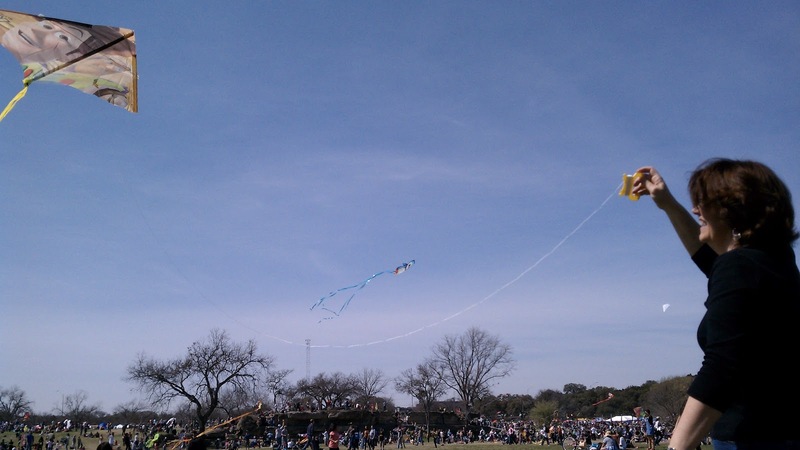 Yesterday was the 83rd Annual Kite Day in Austin. Since both of our families were in town we thought it would be a fun event to go to with everyone. Originally, Ryno and I talked big about making our own kites and planned to make one for everyone in our family. We fell behind on that plan and instead I ended up at Walgreens on Sunday morning raiding their kite selection. I was still determined to find the cartoon character that best represented each person in our party. For example, Ryno got the penguins from the movie Madagascar, Rob got Transformers and I got Summertime Barbie. 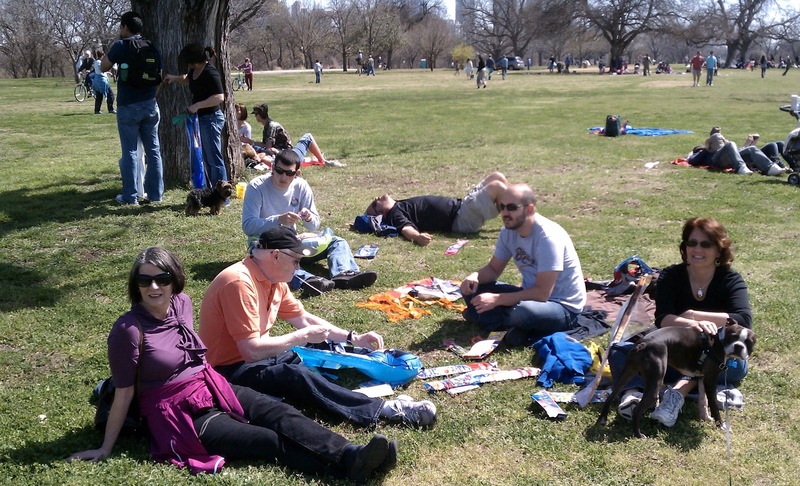 We all met for an early breakfast and then hiked the Greenbelt to Zilker Park. Once there we found a shady spot under a large oak tree and started assembling our kites. Unfortunately, the wind was not being very cooperative and it took a few failed attempts before anyone in our group had their kite in the air. Ryno's mom was the first to succeed. Then slowly but surely we all started to see our kite flying skill return, or maybe it was just that the wind improved too. Either way we all had our kites flying high together, even for just a brief moment. 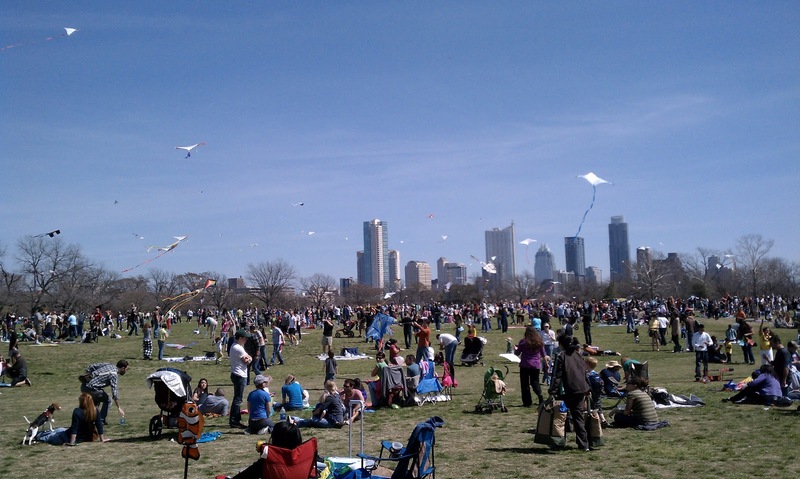 By the time we had to leave, sometime around 1 o'clock, it seemed there were hundreds of kites in the air. I am told the wind continued to improve throughout the afternoon, and before the event was finished at four o'clock thousands of kites peppered the city skyline. While I was sorry to miss that sight, we still had a fun day with family and flying kites. Here are a few photos from the day. Enjoy!